Seriously. I kid you not. Free money. There is some lender out there giving home buyers up to $20,850 each! And you better believe that the government is almost certainly behind this. I was contacted by one of our mortgage bankers the other day with news of this incredible program and it is indeed for real. They work with various investors and one of them is offering free money for people buying within certain designated areas. They will give these home buyers up to 5% of the mortgage value up to $417,000 (5% of $417K = $20,850) to be used for an additional down payment, to cover closing costs, to buy down the mortgage rate, or some combination of those. Economically it's equivalent to getting a reduction in the purchase price of the home and who wouldn't jump at that? This gift is offered to people buying homes in specific census tracts throughout Illinois, Wisconsin, and Minnesota. 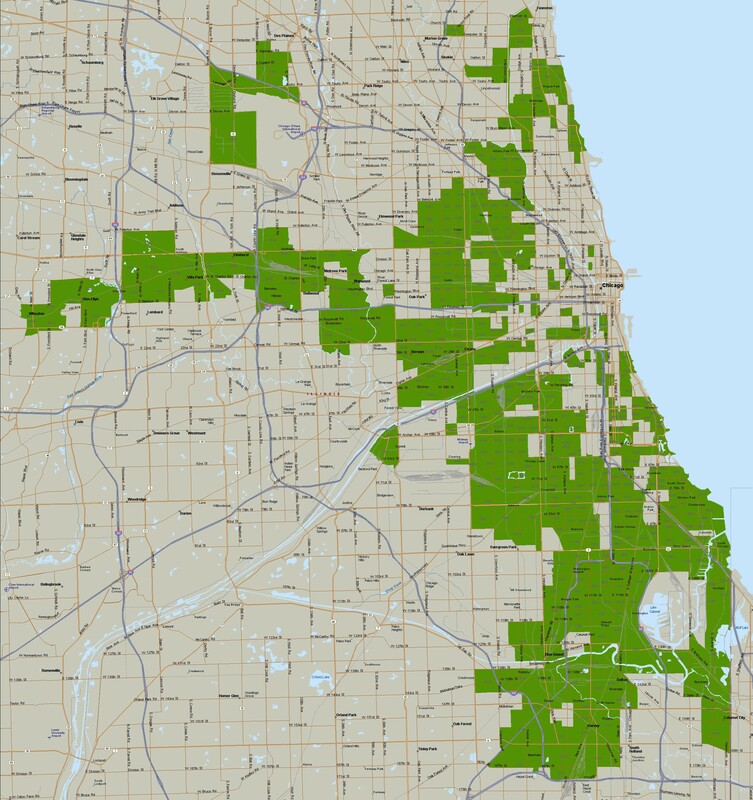 There are 807 Illinois census tracts in the greater Chicago metropolitan area that qualify and I was able to map about 650 of them in the map below. You will want to click on the image below and then click again to blow the map up to see the detail. It's well worth it because it includes a small slice of Old Town, Pilsen, and the rapidly gentrifying area west of Western and north of North Avenue - just to name a few. And, again, I was not able to map all of them because of software limitations so the only way to know if a specific property qualifies for the grant is to actually look up its census tract and compare it against the list. Oh...and there are no income limitations! Usually programs like this are only available to home buyers below a certain income. However, there is no such limitation on this program. Now...the smart reader is going to ask who in the hell does something like this and why? Well, there can only be one explanation. The government! You see the bureaucrats in Washington think they know where people should be buying homes and where lenders should be lending money. If you look at where these census tracts are located on the map you'll see that it tends to skew towards lower income (but not always low income) areas. So when the bureaucrats don't see their vision of the world materializing they put pressure on lenders to conform to their norms. You know...kinda like the way Venezuela and North Korea have so successfully managed their economies. But I digress. Since the market is not conforming to Washington's plan the lender needs to do something to get Washington off their back so they throw money at the problem. Kind of like when people don't want to buy the fuel efficient vehicles that the government forces the auto manufacturers to produce. But I digress. Of course, if down the road these loans go bad the government and the public will blame greedy bankers for making predatory loans and cry for bank executives to be thrown in jail. Oops. Digressed again. But regardless of how I feel about stuff like this I'm all over free money for our clients.